Each new commercial building must comply with the Texas building codes, and an accessibility specialist must inspect each plan. This process typically takes about 30 days to complete depending on the size of your project. After the project is registered, we look at the building plans and determine that everything is compliant with the state of Texas Architectural Building Act. During this review, a specialist checks to make sure there are handrails in the bathrooms, doors are wide enough for a wheelchair, and that all ramps are the correct grade. If we find any deviations, we send it back to your architect to have the proper changes made. We work with the architects, the owner, and the state approval board to make sure that you are compliant with all the codes and regulations. 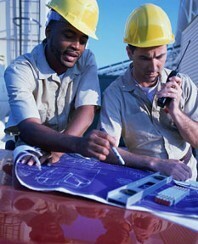 This is an onsite, physical inspection to verify that the final product reflects the plans. This process is completed after the building is completely built. If everything is approved, then the project is completed and the building is certified as compliant with the Architectural Building Act. Contact us with any questions regarding the registration and inspection process.